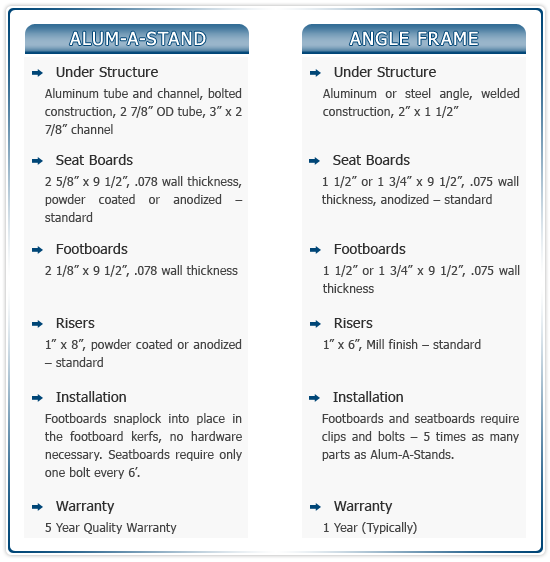 Are you in need of new aluminum seating? Is the aluminum bleacher you have looking old and tattered? Replace it with a Dant Clayton Alum-A-Stand today! If you're interested in learning more, call Toadvine Enterprises today at 502.241.6010 or request a quote online and one of our sales representatives will get back to you soon.